Bands that manage to capture the public’s attention for more than a few years are rare. Capturing it for the better part of 40 years is nothing short of amazing, but that’s exactly what Pink Floyd has managed. Since their early days as young musicians back in 1967 to the Live 8 reunion in 2005, they’ve continued to entertain fans old and new with their music. Pink Floyd , edited by Marcus Hearn, is a beautiful visual history of the band through the years. It begins with their first awkward photo shoots shortly after they signed with EMI in 1967, and moves through their career to their 2005 reunion. Each series of images focuses on a specific time in the band’s development and you can see them evolve and gain confidence as you turn the pages. You’re also able to see how the band gradually grew into their own, losing the carefully packaged look of their early shoots and standing on their own artistic merits. This book captures the band through pictures, but does include a brief paragraph describing each series of photographs. This adds a bit of a biographical slant to the book, but takes a back seat to iconic images of a legendary band. 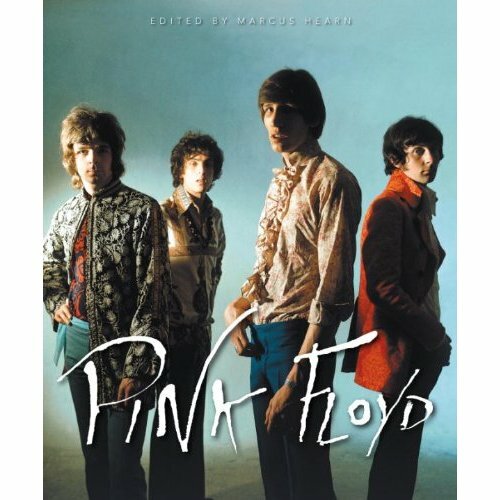 Pink Floyd is now available in hardcover for $19.95 and is the perfect coffee-table book for fans of classic rock music and especially of Pink Floyd.